A TODAY Show Summer Pick An Amazon Summer Reading Pick A Barnes & Noble Best New Fiction of the Month PickA wacky, exuberant, heartfelt debut novel: the unholy child of The Hitchhiker's Guide to the Galaxy, Harry Potter, and Sixteen Candles—and this time with dragons.“No good human won't love this dragon named Gork.” —Dave Eggers“A one-of-a-kind coming-of-age story.” —Tracy K. Smith, U.S. Poet Laureate Gork isn’t like the other dragons at WarWings Military Academy. He has a gigantic heart, two-inch horns, and an occasional problem with fainting. His nickname is Weak Sauce and his Will to Power ranking is Snacklicious—the lowest in his class. But he is determined not to let any of this hold him back as he embarks on the most important mission of his life: tonight, on the eve of his high school graduation, he must ask a female dragon to be his queen. If she says yes, they'll go off to conquer a foreign planet together. If she says no, Gork becomes a slave. Vying with Jocks, Nerds, Mutants, and Multi-Dimensioners to find his mate, Gork encounters an unforgettable cast of friends and foes, including Dr. Terrible, the mad scientist; Fribby, a robot dragon obsessed with death; and Metheldra, a healer specializing in acupuncture with swords. But finally it is Gork's biggest perceived weakness, his huge heart, that will guide him through his epic quest and help him reach his ultimate destination: planet Earth. 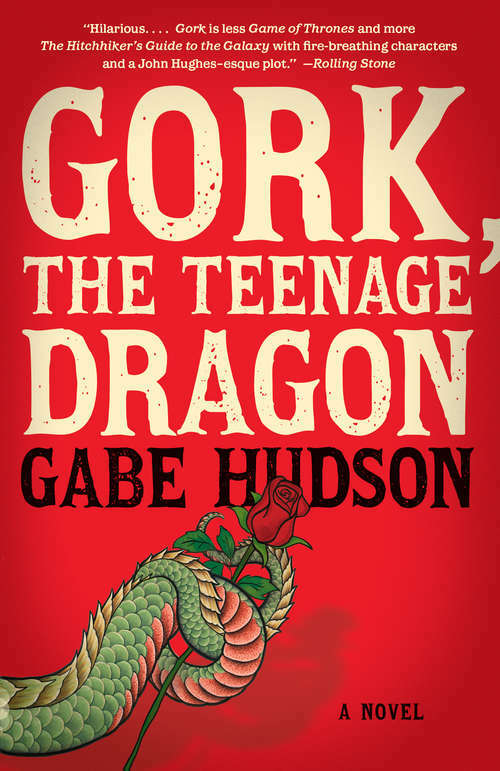 A love story, a fantasy, and a coming-of-age story, Gork the Teenage Dragon is a wildly comic, beautifully imagined, and deeply heartfelt debut novel that shows us just how human a dragon can be.